The humble beginning of cryptocurrencies in India was back in 2013, when a vintage pizzeria in Mumbai started accepting Bitcoin. Since then, Indians’ interest in crypto has only increased, leading to the emergence of many Indian crypto exchanges and a number of businesses that accept cryptocurrencies. Considering there are more than 600 million young Indians, it’s palpable that adoption of technology and global trends (including crypto investment) happens at a fairly healthy rate. However, the Indian economy runs on top of complex financial regulations which has far-reaching impact on the crypto investor sentiment in the country. 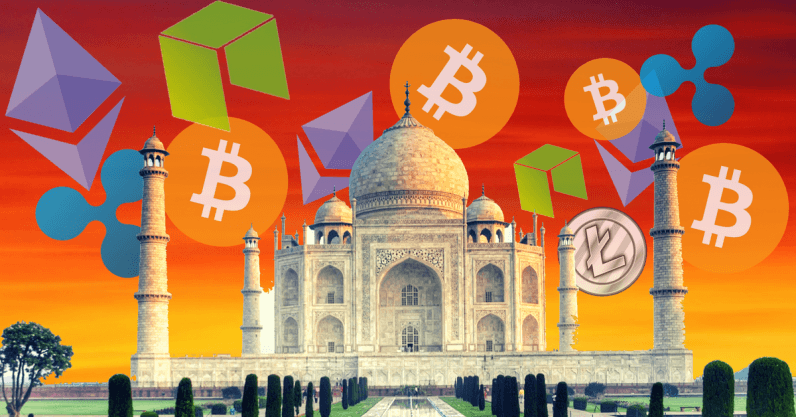 In the midst of complex regulations and inherently volatile market, the crypto scene thrives and comes with additional India-specific issues. According to a recent IT survey, the Indian crypto market is adding 200,000 tech-savvy traders every month and in the last 17 months, $3.5 billion worth of transactions have been conducted. Looking at the massive growth, it’s imperative that the stakeholders are eagerly waiting for a clear stance from the government. While different countries have taken both positive and negative decisions on cryptocurrencies, in India the apex financial regulator, i.e., the Reserve Bank of India has been issuing warnings to investors since December 2013 — the year the Mumbai pizzeria started accepting Bitcoin. The underlying theme has remained the same until today, there can be severe security and financial risk associated with cryptocurrency investment and trading. Therefor the government might not be able to protect the consumers who are exposed to this volatile market. The finance minister, Mr. Arun Jaitley has confirmed that the virtual currencies are not legal tender in India — this means that right now cryptocurrencies cannot be used as an alternative to INR. Hence, although there’s no ban on trading, the crypto market remains unregulated without any legal framework. This is in line with the recent news that India is planning to regulate trading of digital currencies — an important step to stop unlawful acts. It’s quite crucial since India is already fighting issues like cross-border terrorism and the government is wary of the possibility that black money is being channeled into the crypto market which further fuels such type of danger. Therefore, the new law will have two-pronged agenda, i.e., establish guidelines so that the source of money can be tracked and common investors can be protected. It’d be worthy to note that in India all the crypto exchanges are already KYC compliant and capital transfer happens via digital banking. This is in quite contrast to South Korea which recently implemented the regulations to use the same name in both the bank and the exchange. They key for us is the “cashless service delivery” part and the unique ID system on top which India Stack operates, i.e., Aadhaar — the world’s largest biometric ID system which has enrolled more than 1.2 billion Indians. Since its inception, it’s become absolutely seamless for any Indian to open a digital bank account and link the existing account to the ID as well. Although this is the platform on which the digital banking system and payment network is getting built, in order to become truly cashless what we’ll need is a blockchain-powered cryptocurrency that has approval of the Government. This will bring about a drastic change in the way financial transactions are conducted and lead to complete eradication of corruption — including money laundering and tax evasion. Apart from that, the large consumer base which is moving towards digital economy will get the benefit of improved online transactions. This would also remove the surcharges levied on card payments resulting in benefits for both small and medium businesses and consumers. Perhaps this is not far from us — back in November 2017, there were news around introduction of Laxmi (Goddess of wealth) coin which would be legally approved by the Indian government. The official website of the coin doesn’t give any date of launch, other than the statement that it will be available soon. Nothing has been confirmed by the government as well. Moreover, we already have examples of countries adopting crypto coins — Arizona senate has passed bill to accept income tax payment via cryptocoins and Russia is about to issue CryptoRuble. Apart from that, Venezuela has already launched state-sponsored coin called Petro to allow people to pay for taxes and public services. Although it’s argued that the petrol-backed coin has emerged as a means to counter the looming economic crisis, its utility in a government setup is a great example. The very nature (peer-to-peer) of these coins make them somewhat insulated from the purview of the government. So instead of remaining silent, the government needs to clearly define the asset class of cryptocurrency — a commodity, an asset, or a security apart from devising regulatory framework around trading and investment. This will help the government gain additional capital from tax and embrace something that has potential to boost the GDP as well. Considering that the blockchain-based technologies are rapidly growing and they are well poised to disrupt several traditional industries, the government needs to craft a conducive environment that can foster economic decentralization, social parity, and better access to global financial market.